There’s still a short while to register for the Blue Star programme 2016- 2017! If you are interested, please send us a Registration Form as soon as possible or email us at bluestar@europeanmovement.ie for more information. To those schools already registered, we hope you are enjoying working on the programme! From the many Action Plans we have received, there seems to be an amazing level of creativity being put into projects and we are really looking forward to seeing your work in the new year. For those of you who have not yet submitted your Action Plan, we would ask you to please do so as soon as possible. If you are looking for inspiration, have a look at our Sample Action Plan. We would encourage you to keep an eye on the Blue Star programme website and the European Movement Ireland Twitter account at @emireland throughout the year for info and updates. We love seeing your work so please Facebook, Tweet or email us with photos, videos and feedback. 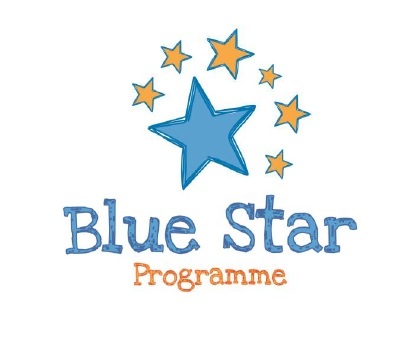 Please keep us posted if you have Ambassadors, TDs, Senators, MEPs or other visitors coming to your school as part of the Blue Star programme. You can fill in this short form to let us know: www.bluestarprogramme.ie/visitor-form/. Do let us know if we can be of any help with facilitating a visit. For each year of the Blue Star programme, we identify a civic society element which can act as an overarching theme for the work of the pupils. These additional civic society elements have been highlighted by some teachers as the reason they repeat the programme year-on-year. For 2016-2017, we have decided to focus on the 60th anniversary of the Treaty of Rome. Please note that is not compulsory to include this or any theme but for those of you interested, the Treaty of Rome was signed on 25 March 1957 and established the European Economic Community. In March 2017, there will be celebrations to mark the 60th anniversary around Europe, with a big one planned for Rome, which could feed in well into the pupils’ work in the new year.